Comicbook.com has obtained some exclusive video of a scene being filmed for Captain America: Civil War. 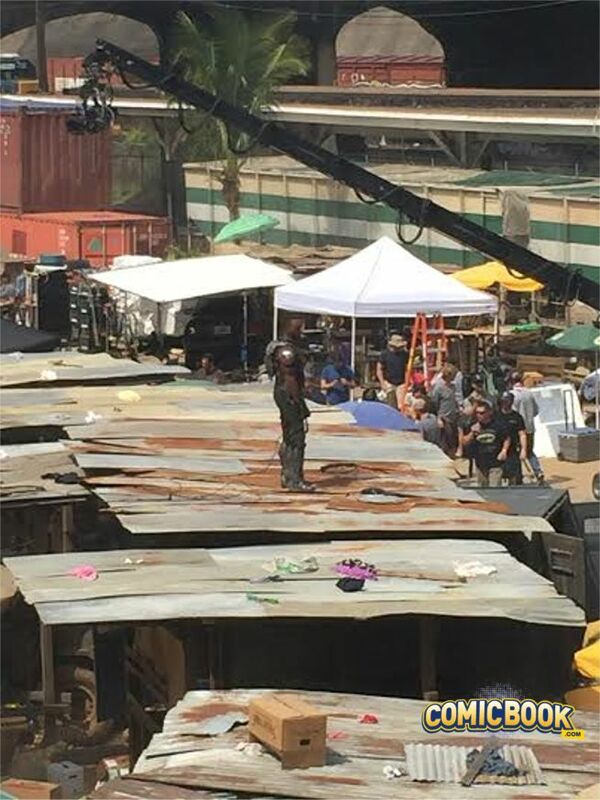 The scene takes place in the same African town that has been shown in a lot of the set photos circulating online. 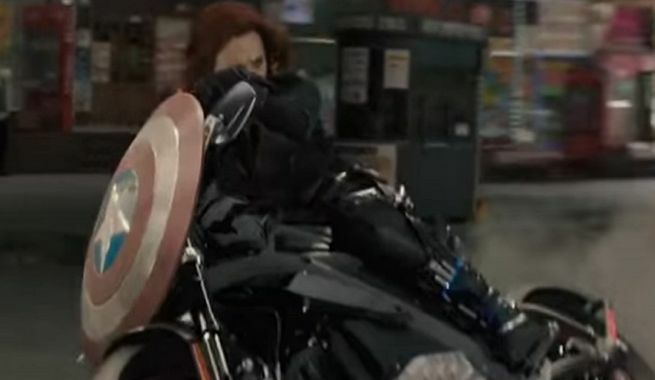 In the video, Anthony Mackie as Falcon is standing on a roof, while Black Widow drives by on a motorcycle and Captain America leaps across cars and flips over the roof of a van. Captain America: Civil War is scheduled to be released in movie theaters on May 6, 2016.